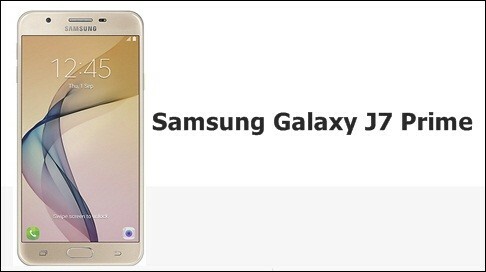 Android Reborn – One of the special matter inside the new J7 from Samsung is its camera. Now, the camera gets the higher resolution, and we are sure that the image you are taking will have higher quality. However, when the condition of the phone is done, you may see the camera failed and it will be very disturbing. Some common users don’t know the way to fix this problem. Here, we will deliver some points about Galaxy J7 Prime: How to Fix Camera Failed, which you could do easily. Restart the phone. It is one of the very easy ways to do when the camera is failed. In common, the minor problem could be treated well. Clear data and cache. The problem of camera could be caused by the amount of data and cache. When the restart could not make the camera well, go to the camera app inside the application manager in setting menu. It will be useful to fix the problem of camera failed. Wipe cache partition. The third way, which you could do, when the J7 Prime camera is failed is by wiping the cache partition. It is the last way to do when the first and second ways could not handle the problem. We could see some ways to fix the camera failed problem inside J7 Prime. However, besides seeing the fixing way, please make sure that you set the saving picture to your SD card to maintenance the free memory inside the phone. We hope it will be useful for you all.